Visiting the Great Wall is normally high on most people’s bucket lists when it comes to visiting China. But for anyone who cares to make the experience a little more memorable – and a lot more exciting – you can ride down the mountainside on a toboggan, like a literal human torpedo. 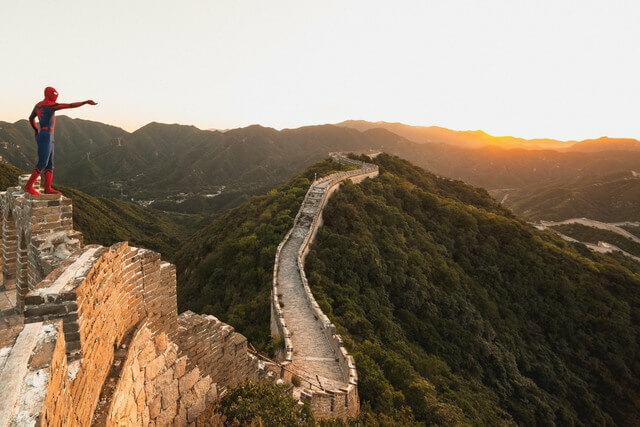 You’ll need to visit the Mutianyu section of the wall, which is pretty simple to do if you’re coming from Beijing since most of the tours and vendors sell tickets to that part anyway. You’ll be brought up the mountain to one of the lower camps, where you’ll then take a cable car (just buy a one way ticket, obvs) up to the higher levels of the mountain to access the wall. Stroll around for a while and soak in the panoramic views of the surrounding countryside. Once you’re done, strap yourself in for one crazy ride and blast down the mountain in the open-air chute (warning: it’s super fast!). Tropical weather and white sand beaches probably aren’t the first things that spring to mind when you think of China, but that’s exactly what you’ll find when you visit Hainan Island. Hainan sits just off the southern coast of the mainland, and as well as being China’s biggest island, it’s also the most beautiful (at least we think so!). Forget the crowds in the bustling cities of Sanya and Haikou; you’ll want to head straight to the remote beaches on the eastern part of the island- where virtually no foreign tourists go. Bo’ao is a small fishing town in the northeast, known best for its big, beautiful sandy beach, Asia Bay- which happens to be one of the best beaches for kitesurfing in Asia. Sign up for a beginner’s course and you can be up and riding independently in just one weekend. Head there between March and May to score the best conditions. Meanwhile, a little further south, Ri Yue Bay is China’s premiere surf spot. With a stellar point break and one of the best lefts in China, it’s small wonder that this beach is the location of choice for scads of international surfing competitions and was chosen as one of the best places to surf in Asia. Squeezed inside a cove of soaring mountains, Yangshuo is a tiny, traditional style town located just a short journey outside of Guilin. 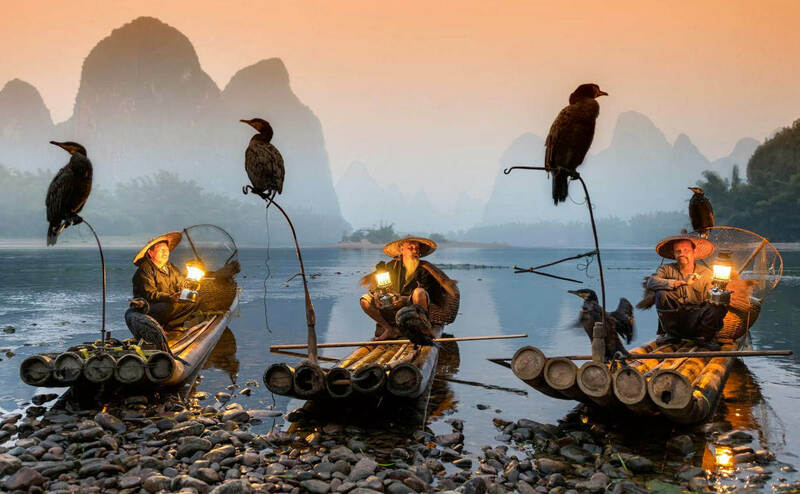 Famed for its towering karsts and winding river, Yangshuo has become a popular tourist haunt over the past few years, becoming especially busy during China’s national holidays (best off avoiding the Lunar New Year if you want to beat the crowds). Tear your eyes from Yangshuo’s kitschy resorts, quirky rooftop cafes, and myriad craft shops, and you’ll soon discover the place is an adventure traveler’s dream. Not only are those karst mountains covered with rock climbing sites (which are world-class, by the way), you can actually get right up close and personal with the landscape while floating down the river on an authentic bamboo raft. Usually steered by a local man, your rafting journey will take you meandering through the pristine countryside, flanked by mountains so stunning that their image was the one chosen to be printed on the 20 Renminbi note. 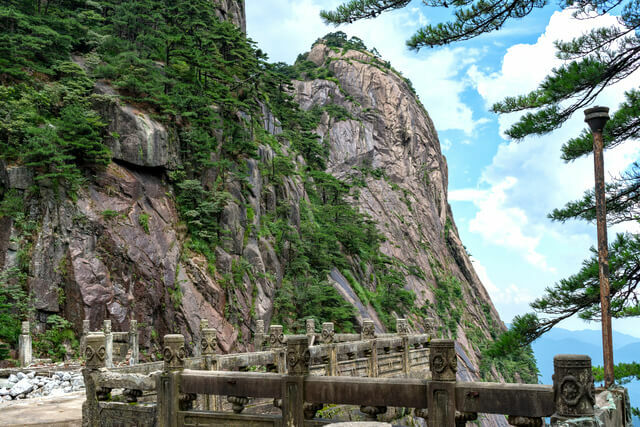 Huangshan (or Yellow Mountain, in English) is a beautiful mountain range located in southern Anhui Province. An easy one to reach for travelers staying in Shanghai, there are tons of tours that offer hiking excursions to Yellow Mountain- the best of which see you camp overnight in the mountains for at least one, if not two, nights. The mountain range has tons of different peaks, the highest of which reaches nearly 2,000 meters (*gulp*). The best-known peaks are Lianhua Feng (1,864 m), Guangming Ding (1,840 m), and Tiandu Feng (1,829 m). 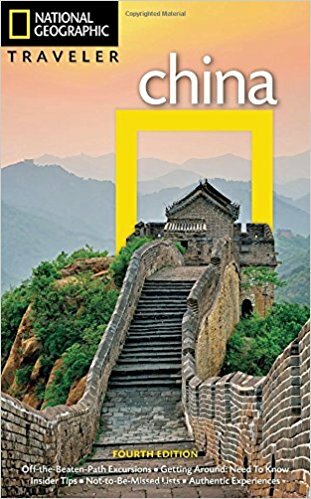 As well as being one of the most iconic landscapes in all of China, these mountains are also a UNESCO World Heritage site and an epic place to get your adventure on. 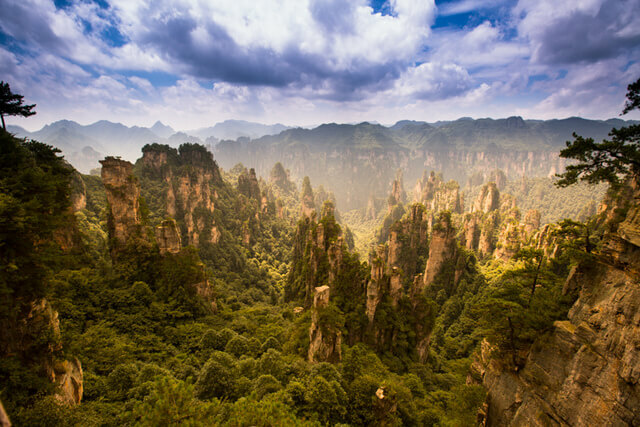 Located in China’s central Hunan Province, Zhangjiajie is a city known best for its super-famous Wulingyuan Scenic Area (which was reportedly the inspiration for the landscape in Avatar). The area boasts in excess of 3,000 towering sandstone mountains, as well as gorges, natural bridges, and the gorgeous Baofeng freshwater lake. If you’re ballsy enough to do it, step out onto the glass skywalk suspended 1,400 meters in the air, take a deep breath, and look down. The skywalk wraps around the edges of Tianmen mountain- another of the highlights of the park- for 200 meters, giving you plenty of time to look around (or down) at the otherworldly landscape around you. Kitesurfer, traveler, and digital nomad, Grace is a freelance writer specialised in adrenaline sports and outdoor adventure. 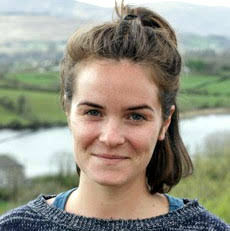 Currently based in rural Thailand, she’s also the creative director of adventure sports travel guide, Extreme Nomads. Glad that we could fill your Chinese bucketlist Pardeep :) Hope you have the chance to travel soon! 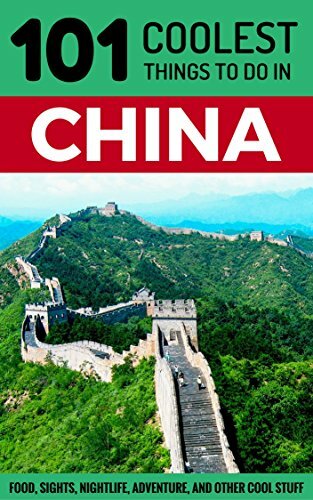 China is very underrated! There are so many cool things to do that you can’t find anywhere else! I’d rate it a 9/10 travel destination! Totally agree! So glad you had a fabulous time as well! 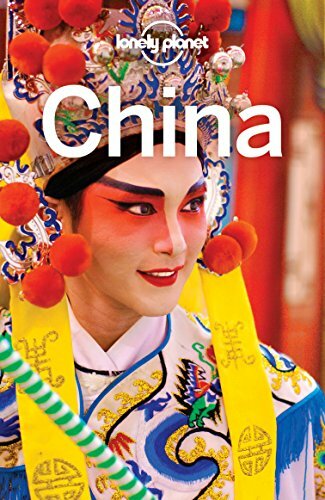 China and Hong Kong are the places which have a complete culture in it. definitely would love to visit these beautiful places soon.